Heart Attack & Cardiac Arrest – What’s the difference? Leslie Kolovich never imagined she could be at risk for a major heart attack. She was just 52, a non-smoker, lived an active lifestyle and had a healthy diet. She dismissed some of the warning signs as “just getting older” and “stress”. Watch as Leslie shares her story of how she nearly died and what she has learned since. PANAMA CITY, Fla. – The area’s first transcatheter aortic valve replacement (TAVR) procedures were recently performed at Bay Medical Sacred Heart by a team of cardiologists and cardiothoracic surgeons. TAVR is a minimally invasive, life-saving procedure for patients with aortic stenosis who are considered too high risk for traditional open heart surgery. Aortic stenosis affects the aortic valve. In late stages of the disease, the valve does not properly open and close, causing the heart to work harder to push blood through the calcified aortic valve. Eventually, the heart weakens, increasing the patient’s risk of heart failure and death. When Denman was told he wasn’t the most ideal candidate for an invasive open-heart valve replacement procedure, Denman decided to educate himself on the TAVR procedure Bay Medical Sacred Heart was bringing to the Panhandle. Eager for a better quality of life, Denman became one of the first patients to undergo the surgery on March 15 with cardiothoracic surgeon Dr. Greg England and interventional cardiologist Dr. Haghighat as co-surgeons. The procedure is performed through a small incision in the femoral (groin) artery. A catheter is inserted to replace the failing valve, without the need for major open surgery. The patients typically spend only two to four days in the hospital. Only one week after having his heart valve replaced, Denman was not only feeling better, he was back in the pulpit. “I am doing not just what I was doing before, but more,” he said. 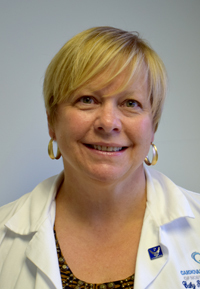 Nancy Vandenberg also had the procedure in late February. The 89-year-old has had an ongoing heart condition and had two stents placed over the years. 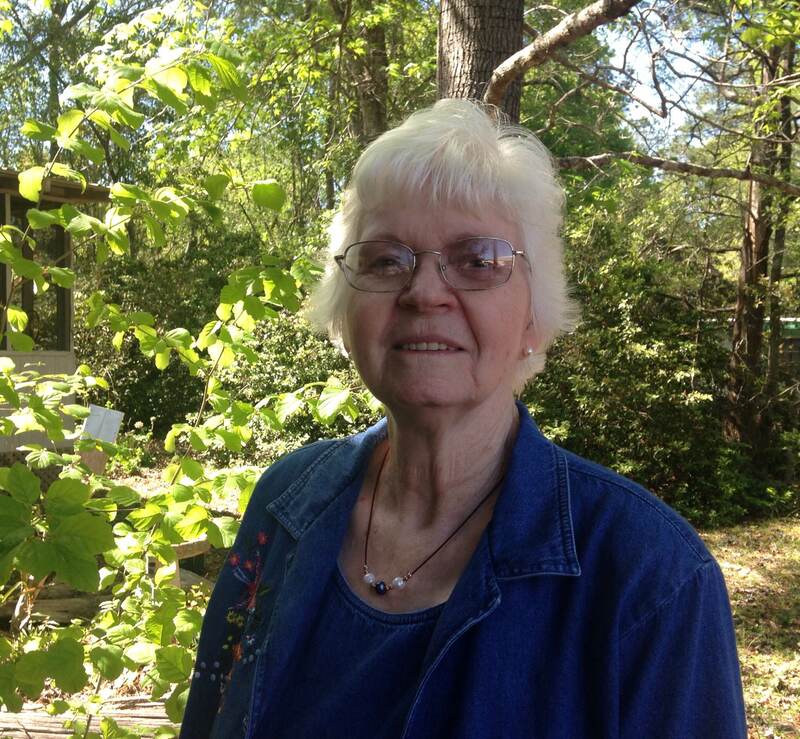 Late last year her cardiologist, Dr. Michael Morrow, identified a defective aortic valve. She weighed her options: traditional open-heart surgery or this new TAVR procedure. She also considered going out of town but in the end opted to stay and have the procedure at Bay Medical Sacred Heart. “I didn’t want to go out of town at my age and I didn’t want to travel for appointments,” said Vandenberg. “When I considered the alternative of open-heart surgery and a long recovery, going into a rehab center for three or four weeks, the choice was easy. I didn’t feel at my age I could go through open heart surgery. 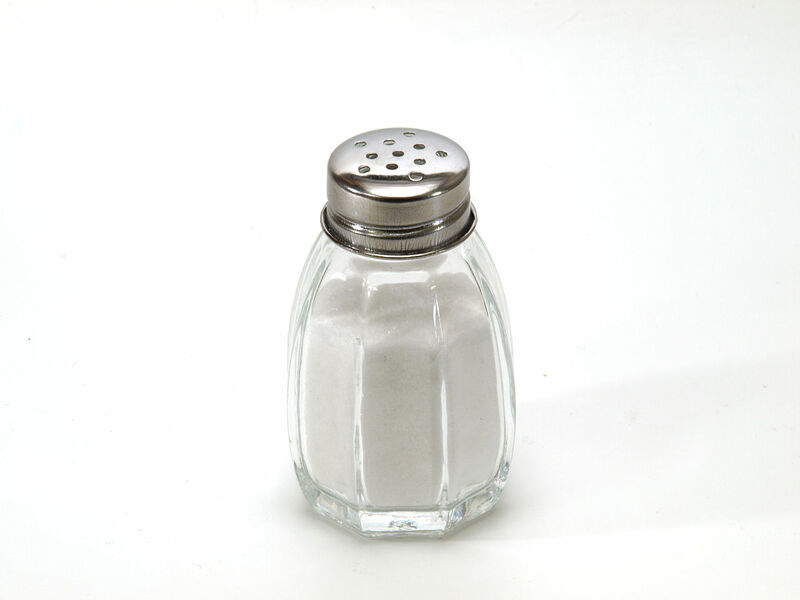 Q&A: Why is salt bad for your heart? Why is salt bad for your heart? Dr. Evans: Our bodies need a little salt for optimal health, however the typical American diet can contain two or three times the amount needed. Too much salt causes the body to retain water. This increase in fluid in the body increases blood pressure which puts a strain on blood vessels, the heart and kidneys. As a result, people with high blood pressure have an increased risk of heart disease and stroke. Does everyone need to monitor their salt intake? Dr. Evans: It’s safe to say that everyone eating an American diet could benefit from paying attention to and reducing their salt intake. Most people have no idea how much salt they consume. People assume that if they don’t use their salt shaker much, they aren’t eating much salt. But salt / sodium is already present in many of the foods we eat. Especially processed foods. It is important to pay attention to your salt intake if you have high blood pressure, and if you have heart failure, too much sodium and the accompanying fluid retention can be very dangerous. Dr. Evans: The Heart Association recommends no more than 2,300 milligrams of sodium a day, however for most adults, especially seniors, no more than 1,500 milligrams is a better guideline. Our blood pressure tends to increase as we age, so lowering salt intake can help to keep it in check. To give you an idea, one teaspoon of salt is 2,300 mg of sodium. In packaged foods, the amount of sodium is on the nutrition label, but pay close attention to the serving size. Let’s say that a can of soup has 800 mgs of sodium per serving, but a serving is only 1/2 a cup. To be realistic, you are likely to eat one whole cup of soup if not more and then you’ve already exceeded your recommended daily sodium intake. It’s just that easy to take in too much salt if you’re not paying attention. How can I reduce salt if it’s already in the food I eat? Dr. Evans: Ideally, eating more fresh foods that are prepared at home rather than packaged foods can make a big difference not just in salt consumption but in your overall health. And when cooking at home, use more herbs and spices for flavor and less salt. For recipes and meal plans, there are a lot of free resources you can find online by looking up the DASH Diet. When buying packaged foods, read the labels and look for lower sodium alternatives. It really doesn’t take long for your tastes to adjust to less salt and you’ll soon find that some foods taste way too salty. Certain foods are known for containing a lot of salt, and unfortunately, they are American favorites: pizza, sandwiches, soup, breads and baked goods, cold cuts, poultry, cheese, and of course condiments and sauces. People tend to ignore the nutritional labels on condiments, but soy sauce or barbeque sauce, for example, can really blow up your daily sodium intake. There are ways to make some of these salty favorites less salty and more healthy like getting the thin crust pizza with more vegetables, half the cheese and an uncured meat instead of pepperoni. However at the very least, limit your portions of salty foods. If I limit my salt intake will my blood pressure be normal? Cutting back on salt is one of the easiest things you can do to help your blood pressure, but it is not a cure all. There can be other causes of high blood pressure such as family history, poor diet, lack of exercise, being overweight, smoking, and excess alcohol consumption. Limiting salt intake should be part of an overall heart healthy lifestyle that includes regular exercise, a heart healthy diet, and maintaining a healthy weight. High blood pressure, much like high cholesterol, is a silent risk factor of heart disease, so having your blood pressure and cholesterol checked regularly can help you and your doctor find lifestyle modifications, or medications if needed, to reduce your risks for cardiovascular disease. A study of approximately 9,500 middle-age adults found that nearly half of the heart attacks that occurred during the study period were “silent”. The patients were not aware they had a heart attack and did not seek medical attention however, their electrocardiogram (ECG) screening during a regular follow-up appointment showed that a heart attack had occurred. The study, Atherosclerosis Risk in Communities (ARIC), analyzed the causes and outcomes of atherosclerosis – hardening of the arteries. Over an average of nine years after the start of the study, 317 participants had silent heart attacks while 386 had heart attacks with clinical symptoms. Under what circumstances would a patient need a stress test? Patients may be scheduled for stress tests to evaluate symptoms of chest pain, for an exercise prescription, to evaluate for exercise induced arrhythmia or for surveillance of known coronary artery disease. Do all stress tests require physical exercise? 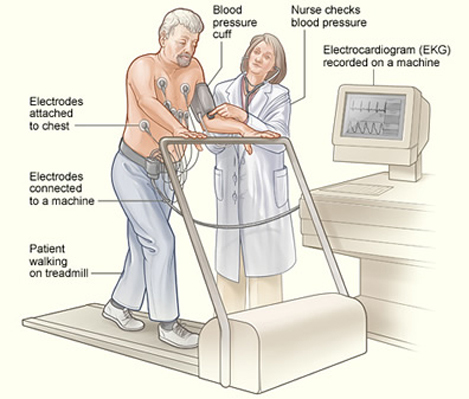 Graded exercise tolerance tests (GXT), whether with or without imaging require exercise on a treadmill to achieve the patient’s target heart rate, which is determined by patient’s age. Pharmaceutical Nuclear stress tests do not require exercise. When is a nuclear stress test needed versus an exercise stress test? Pharmaceutical Nuclear stress tests are utilized when patients are unable to exercise, in cases of certain ECG (electrocardiogram) abnormality, when the patient is unable to reach the target heart rate with exercise due to medications, or when a patient has certain brady arrhythmias (slow heart rates requiring pacemaker). Nuclear stress tests, where treadmill exercise is used along with nuclear images, are generally ordered versus a standard GXT when the baseline ECG is abnormal, when imaging is desired because of the patient’s coronary anatomy or a previous standard GXT was not quite normal. With an exercise stress test, what sort of physical activity should I expect? GXT or Stress Nuclear test requires walking on the treadmill long enough to raise the heart rate to target as well as long enough to be physically stressed (tired, short of breath, etc.). The treadmill gradually speeds up and elevates incline every three minutes. Most patients exercise for 7-9 minutes, depending on functional capacity. Be sure to dress comfortably with appropriate shoes for exercise. With a nuclear or medication-induced stress test, what should I expect? With a pharmaceutical nuclear study, the patient does not exercise. Lexiscan Nuclear dilates the patient’s arteries as if they have exercised. They may experience shortness of breath with the medication. Also, patients are encouraged to eat 2 hours prior to the test to reduce any GI effects. Patients must avoid all caffeine products for 24 hours prior to Nuclear stress tests. Patients are usually here for about 30 minutes for a GXT secondary to paperwork, setup and recovery. We ask patients to anticipate being here for 2 hours for a Nuclear stress test to allow for imaging. There is a second day of testing required for Nuclear stress tests, however patients are usually only here for approximately one hour for injection and imaging. What can be revealed about your heart health during these types of tests? All stress tests are screening tests and cannot exclude the presence of Coronary Artery Disease (CAD) or progression of CAD, but exercise stress tests give a good idea of functional capacity and prognosis if the patient does have CAD. Also, nuclear imaging gives a good idea of coronary perfusion which helps the cardiologist determine if further testing is needed. If I “fail” my test, what’s the next step? If a GXT is abnormal, your provider may recommend a Nuclear stress test or a cardiac catheterization. Every situation is different and other health history comes into play for this decision. Nuclear stress tests that are abnormal may indicate older heart damage or narrowing / blockages in the arteries. Therefore the provider would recommend catheterization vs. medical management based on the particular situation. Next steps are usually discussed at a follow up appointment after all testing is completed. Is leg pain a sign of vascular disease? In our latest “Ask a Cardiologist” video, interventional cardiologist Dr. Amir Haghighat addresses the signs and symptoms of vascular disease in the legs and how a diagnosis is made. Common symptoms include cramping when walking that goes away with rest, swelling of the ankles and feet, and discoloration, however Dr. Haghighat explains the types of leg pain and other symptoms in greater detail in our video. Vascular ultrasound can identify blockages and reflux. The Cardiovascular Institute in Panama City, Florida offers a nationally accredited vascular lab and minimally invasive treatments for the most common issues. Cardiovascular Institute cardiologist Dr. Michael Morrow explains the most common causes of heart murmur and how cardiologists make a diagnosis using ultrasound technology for echocardiograms. While many heart murmurs are benign, some are a symptom of valve disease such as aortic stenosis. The Cardiovascular Institute has a nationally accredited echocardiography lab in our main office in Panama City, Florida to make getting a diagnosis quick and easy for our patients. Nellie Smith was suffering from severe abdominal cramping and was convinced she needed to have her gallbladder removed. The problem with having this routine surgery however was Nellie’s heart. Nellie had survived a heart attack seven years ago and was told that her heart disease was severe. Multiple vessels around her heart were narrowed. She had previously been very active, but following her heart attack found that she tired very easily, was frequently short of breath and experienced chronic chest pain. She hoped to avoid further heart procedures by taking medications. Eventually, Nellie’s abdominal pain became so severe she found herself at Bay Medical. Her cardiologist Dr. Michael Stokes was called to assess her heart health and delivered dire news. The blockages around her heart had left her with only one main vessel supplying blood flow to her heart and her ejection fraction (a measure of how well the heart is pumping blood) was only 15%. In this condition, it was far too risky to have surgery on her gallbladder and it was very high risk to perform a standard cardiac catheterization to open her heart blockages as well. 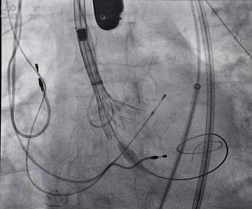 Fortunately, Bay Medical is the only hospital in the region with a unique technology designed to support heart function during high-risk cases. 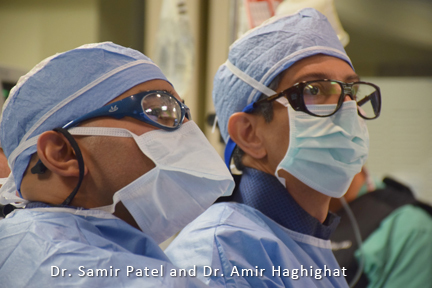 Dr. Stokes contacted his partner Dr. Amir Haghighat, one of three local cardiologists trained to use the Impella, the World’s Smallest Heart Pump, to help with Nellie’s case. 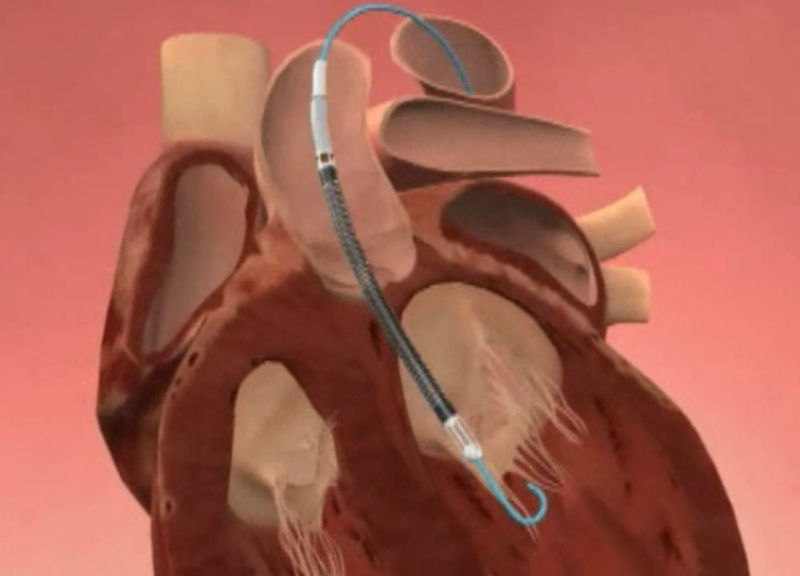 The Impella is roughly the size of a small writing pen and, using guide wires, can be inserted through a small incision in the groin area and navigated through the major blood vessels into the heart. The device can continuously keep blood pumping while the dangerous work of opening multiple blockages takes place. Unlike an open surgery, a cardiac cath requires only mild sedation and patients are awake and able to interact with their physician. Nellie was able to see the images on screen of her blood vessels during the procedure and noted that “as he opened each blockage, it was like a road map suddenly began to appear on screen.” The previously blocked vessels filled with blood to feed the heart muscle. “I felt a difference immediately, right there on the table,” said Nellie. The next day in the hospital, Nellie was up and walking around the cardiac nursing floor. “I feel really good,” she says. “I’m looking forward to going home, cleaning my house and cooking a meal. I know that doesn’t sound like much, but it was too tiring and too difficult to do those things before.” To her surprise, Nellie noted that she was no longer experiencing abdominal pain. She excitedly put her grandchildren on notice to expect “a NEW Granny” when she returned home. How are cardiologists involved in treating stroke? Our latest Ask a Cardiologist video featuring Dr. Samir N. Patel covers why a stroke, or a brain attack, is definitely something you should see your cardiologist about. A common underlying cause of stroke is vascular disease. An ischemic stroke occurs when a piece of thrombus or plaque that has been dislodged travels into the arteries in the brain causing a blockage. Plaque build-up in the carotid artery is often a culprit as is atrial fibrillation. Fortunately, cardiologists at Cardiovascular Institute also offer interventional treatment for stroke prevention such as a stent placement procedure to open up a clogged carotid artery.